Ginger Shinobi is a London-based DJ and owner of net label Broken Drum Records. He’s been spinning since 1998, with a brief foray in to dubstep in 2007, and has recently been focusing on Moombahton. Last year he became frustrated while digging for his set. He found the genre lacking in deeper tunes and saturated with squeaky dutch house tracks. Moreover, most were poorly and hastily produced edits. So he took matters in to his own hands, and contacted every producer he knew and respected. Shinobi sent out a brief and trusted the artists with broad artistic freedom to interpret as they like. 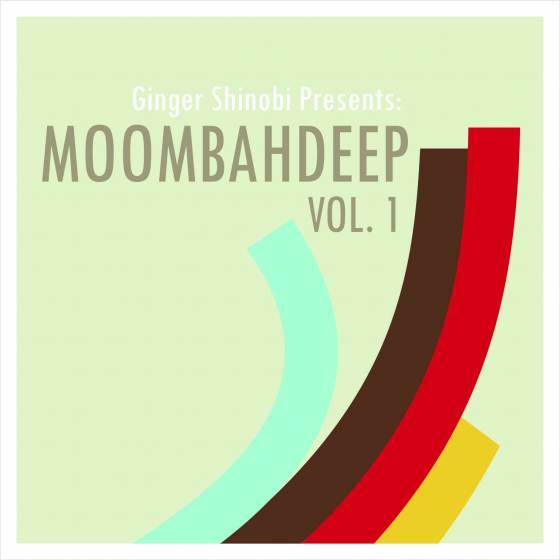 MoombahDeep Vol.1 is a collection of Moombahton inspired by the classic sound of deep house and techno, and by Generation Bass’ excursions into moombahton beyond the limitations of Dutch house and hastily produced edits. I have decided to include any track submitted that excited me, that made the hairs stand up on the back of my neck or simply made me want to dance. I’ve trusted the integrity of the individual producer to interpret the brief anyway they wanted – I think this has given a broad and interesting sound to the compilation. Moombahdeep features producers ranging from genre forefather DJ Sabo through to Shinobi himself and a plethora of rising creators in the dembow-heavy sound slowly dominating dancefloors worldwide. Tracks like percussive expert The 13th Tribe’s The Numerologist feature heavy tech house vibes that take a party deep into the night. Download a zip file containing the compilation. Or stream the entire release from the player below.